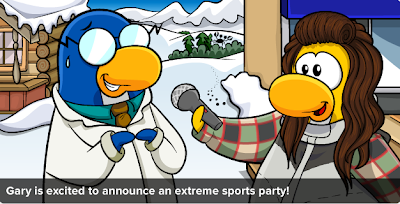 Club Penguin Cheats by Mimo777 Club Penguin Cheats by Mimo777: Club Penguin Times Reveals New Party - SNOW RACE! Club Penguin has released a new newspaper issue #302. The featured article is all about the upcoming Great Snow Race! This NEW party will begin August 25th! Gnarly half-pipe! I'm sooo gonna be there! And, what's coming up around the island? 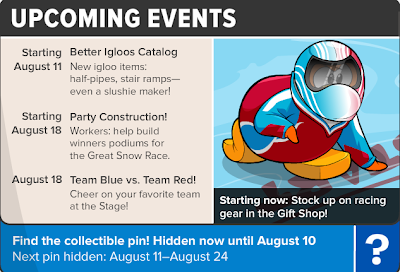 Are you getting excited about a NEW Club Penguin party coming soon? Or, do you think it will be similar to the Penguin Games? Anyone remember that party? I saw a crab which is probably klutzy and footprints in the background where G is. I suspect a new mission coming soon! Klutzy has came out of the phoning phactility hm what could that mean! if you look in the trees in the backrund you can see a shadow of a crab. look! I remember the Penguin Games! I loved that party! I hope this one is better and more exciting. 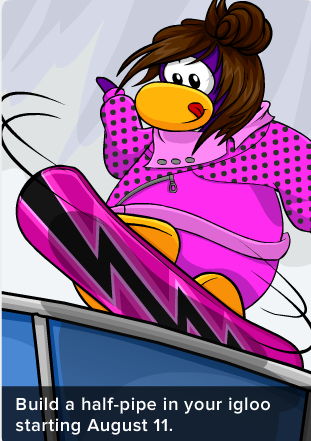 hey mimo when i was playing cart surfer, i did a backflip and a black puffle flashes on my cart! Probably a glitch. old G is nervous and sweating. What could he be hiding? Remember all those clues (secrets) in the video billybob (lane) Posted? Maybe something to do with that. We all know that Klutzy is very fast so its probably that Gary make this snow race because he wants us to follow klutzy location. In the background by the bushes there's a crab, and some suspicious footprints. No. Agent P is better! If you know who that is! OH! I see Klutzy in the picture with Gary and the penguin! with Foot-prints? i know for sure herbert will be involved... same with klutzy. but, i think he might like WATCHING sports, saying that he once owned the sports shop (cover for psa). 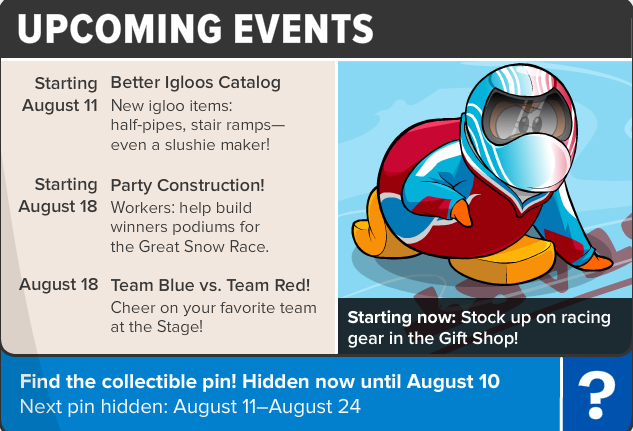 i WISH that this had some kind of tie with the penguin games, which makes sense(maybe it will be alternating, like the real one, every three years(every 2 years is real olympics))so i still have my hopes high. hey guys! i think gary has some info for us agents. he seems a bit jumpy in the newspaper but that might mean herbert might show up at the party! we could give him a floaty raft and send him to an island thats super hot! lol. anyways he might have news on the new mission coming soon. stay sharp agents! Did anyone else notice that the snowsuit has the colors of red, blue, and white? So I think that one is like neutral or something. I think G messed with an invention lol. G, I know you're hiding something. Spill it. Also, the crab came from the command room. Someone is a SPY! !